Champagne Bubbles pendant is festive and sophisticated. 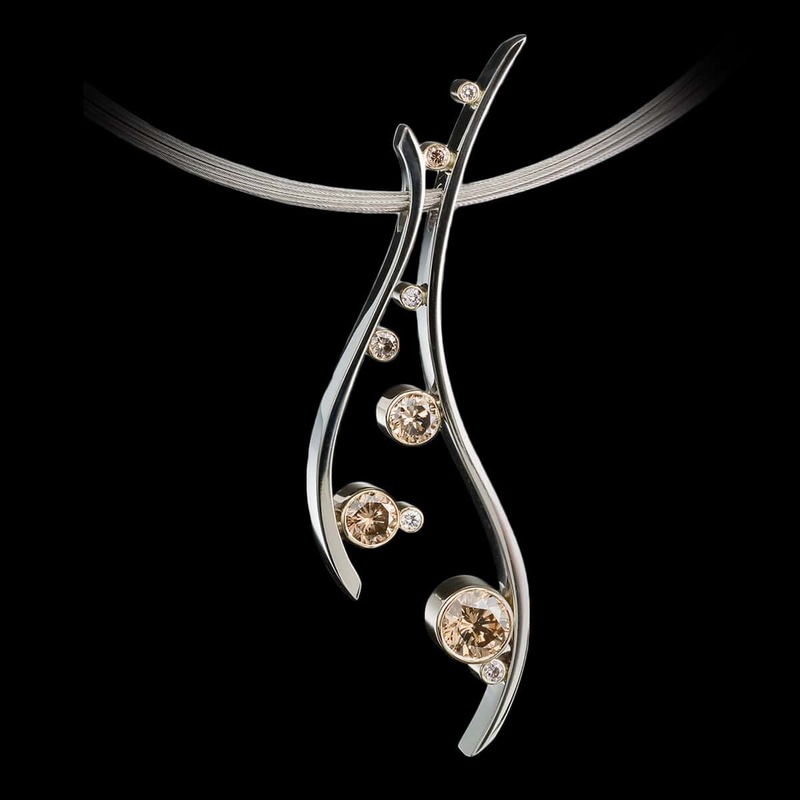 This unique pendant features 2.00 carats of champagne and white diamonds are tube set in 14kt yellow gold along 14kt white gold curves. To purchase, call us at (949) 715-0953 or use our contact form below.